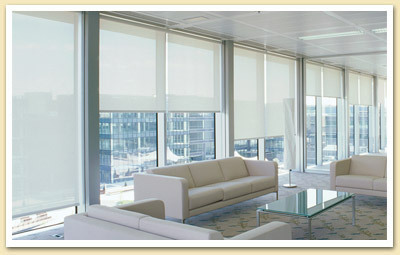 Solar Screen Shades – Window Designs, Inc. 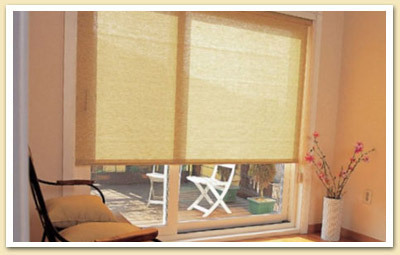 Solar Screen Shades are an innovative combination of sheer beauty and functional technology offering visibility of the outdoors while protecting valuable furnishings from harmful UV rays indoors. 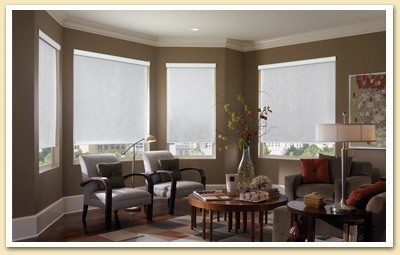 Offered in both Roman shade and Roller shade styles, with a multitude of options and an opacity range from very sheer to semi-sheer, the fabrics in the Solar Screen collection enhance your décor while allowing you to enjoy your surroundings. The new Greenscape fabric is PVC-free and recyclable, offering both a stylish and sensible solution for helping to protect our environment. From an open roll to cassette configuration, you can customize the feel and look of the product. 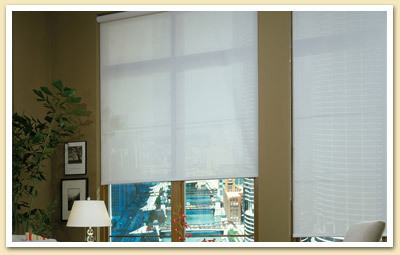 A very popular product for motorization/home automation projects when you want ultimate control of light in your home, porch, or sunroom.